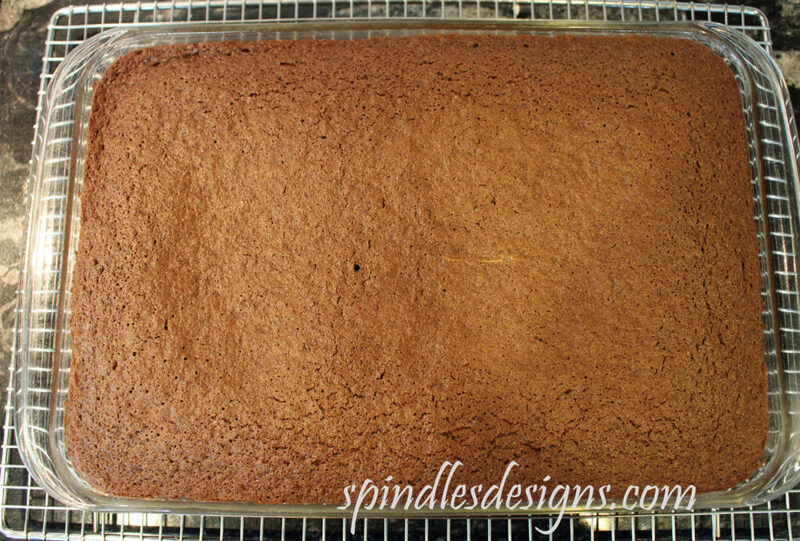 Grease and flour a 9″ X 13″ cake pan. 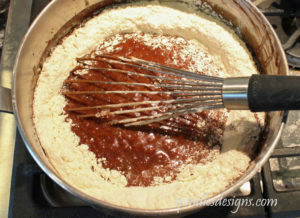 In a large sauce pan over medium heat melt butter, add cocoa. Whisk in water and remove from heat. To the warm cocoa mixture add the sugar, sour cream, eggs, and vanilla. Whisk until smooth. 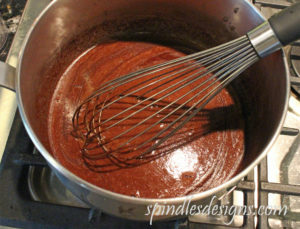 Sift the dry ingredients together and add all at once into chocolate mixture whisking until smooth. Pour into prepared pan. Bake at 375 degrees for 35-40 minutes or until toothpick comes out clean. Cool on rack and frost with chocolate butter cream frosting. Just a note, this was revised from a bundt cake recipe so it has a tendency to fall just a little bit. Make sure the toothpick comes out clean or it will fall even more. Cream butter, salt and on cup powdered sugar mixed with cocoa until fluffy. Add remaining powdered sugar and milk alternately until spreading consistency. Stir in vanilla. Spread over cooled cake. I totally agree! It IS perfect =o) And your cake sounds (and looks) wonderful! Chocolate cake. YUM. 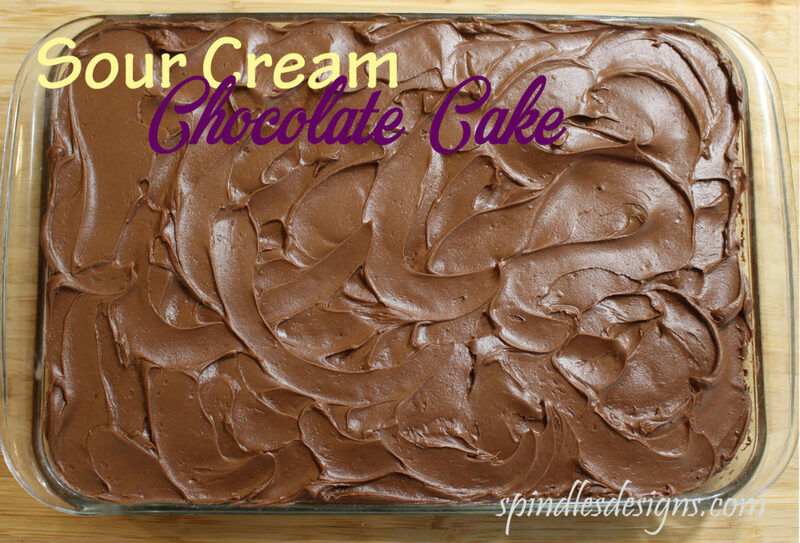 Pinned it & can’t wait to try it – I think I can make it relatively sugar-free! Thanks so much for sharing (saw it on Show & Share)! Good luck with your sugar-free option I hope it works for you. Oh my, what a moist cake! 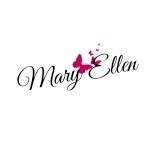 Thank you for your invitation to share on your Wednesday Extravaganza. I be sure to check it out. Yum! 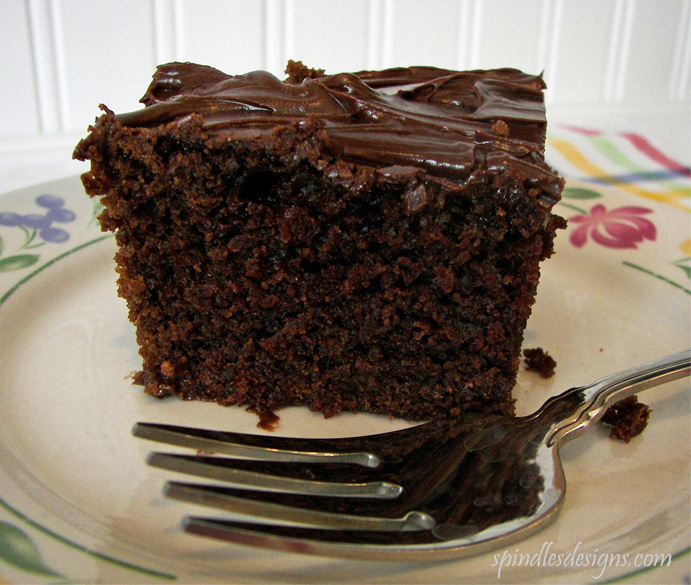 I love chocolate cake and this looks so good!!! Another one of your recipes I am going to have to try!! Hi, do you use All purpose flour or Cake flour in this recipe? Thank you for your comment. Your variation sounds yummy as well. It truly is our favorite chocolate cake recipe.